Disclosure: Some of the links in this Crockpot Hot Wing Dip recipe post are affiliate links and I will receive a small commission if you click on one of those links and make a purchase. Do you have a recipe in your arsenal that you go to when you know you have a crowd to please? Is there one that everyone raves about and asks for time and time again? Are you known for a signature dish? Well, if you aren't then you can borrow mine because it's easy and amazing. It has spice and tang and crunch and heat. It reheats like a champ and it is perfect for game nights, a Father's Day surprise, a Memorial Day or Fourth of July picnic, or an office potluck. My Crockpot Hot Wing Dip will have you doing a happy dance for days and dreaming of an excuse to make it again. Also, it tastes amazing with a cold beer. I normally double or even triple the recipe when I take the Crockpot Hot Wing Dip to parties and I have NEVER had leftovers in the 8+ years I've been making it. Place the uncooked chicken in a large pot with the chicken bouillon powder. Cover the chicken with water and bring to a boil. Continue to cook the chicken until it is completely cooked throughout, roughly 15 minutes on a slow simmer. Remove the chicken to the Crockpot and reserve two cups of the water in which it cooked. Return the chicken to the pot or a large bowl and shred. I like to do this with a hand mixer but you can certainly just shred the chicken with two forks. Add the entire bottle of buffalo sauce and stir to incorporate. At this point, I normally like to put the chicken in the fridge overnight but it is not necessary. Add all the cheeses to your Crockpot, top with the chicken and stir to incorporate. Let sit on low heat in the crockpot for one hour, stirring occasionally. In the meantime, take the two cups of reserved water and pour it into the bottle that held the sauce and shake. Pour about 1/4 cup of the reserved water into the crockpot and put the bottle with the remaining water in the refrigerator. 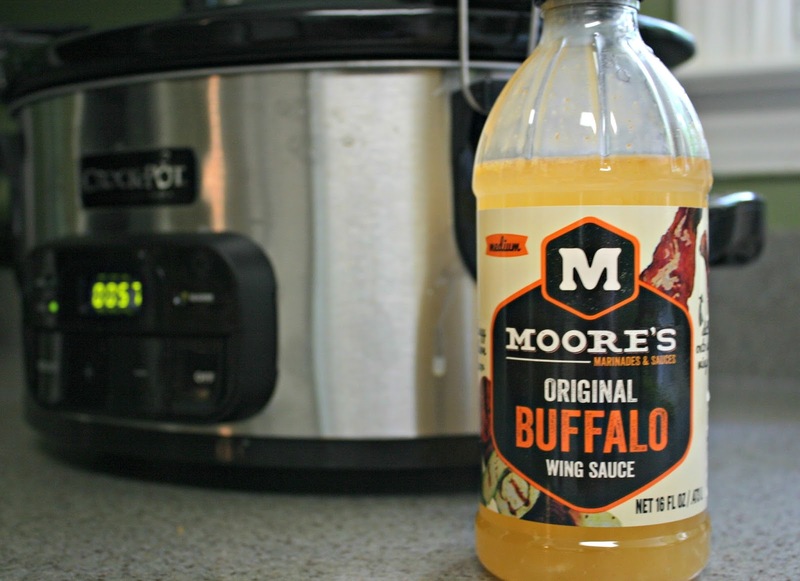 The Crockpot Hot Wing Dip is now ready to serve. Turn the heat on the Crockpot to the lowest possible setting. Stir the mixture occasionally throughout the party or event to prevent it from sticking to the sides and burning. The dip will thicken as it sits. If you notice that the mixture gets too thick, add a little of the reserved water and stir. 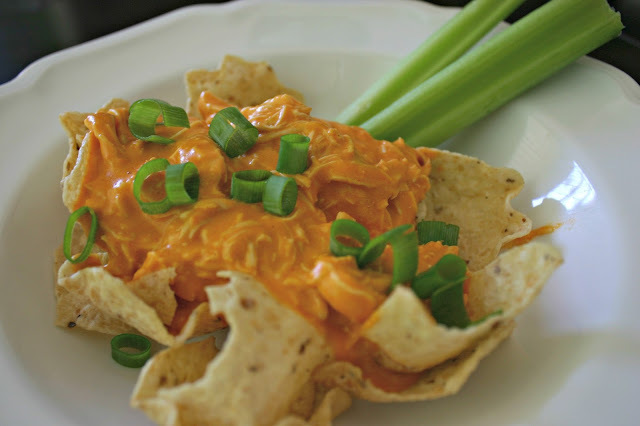 The Crockpot Hot Wing Dip is perfect over top of tortilla chips or on a sandwich bun. I normally opt for chips since they are more family friendly and easier to serve at events. Check out some of my other favorite recipes, including my crockpot turkey recipe, here. What recipe are you know for among family and friends? This is such a good idea. I bet this taste so good. I need to try this. This looks like it would be so tasty! I was gifted, not one, but 3 crockpots when I got married... and after returning 2 of them for something else, I kept one and have never used it in almost 10 years. I'm hoping it still works because this dip seems like what I've been waiting for! 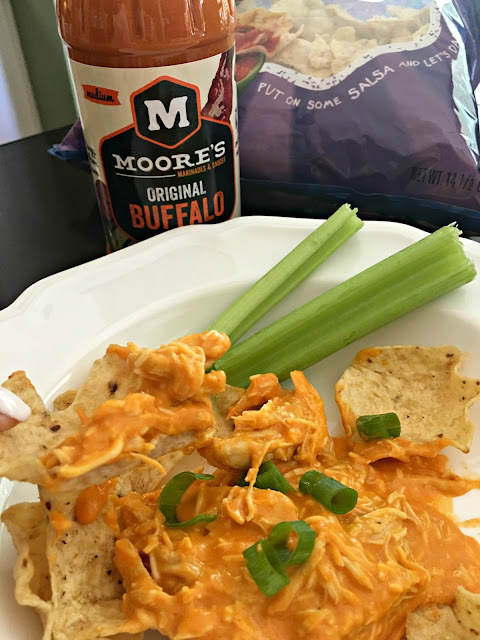 I'm a sucker for dips that have a spicy kick! 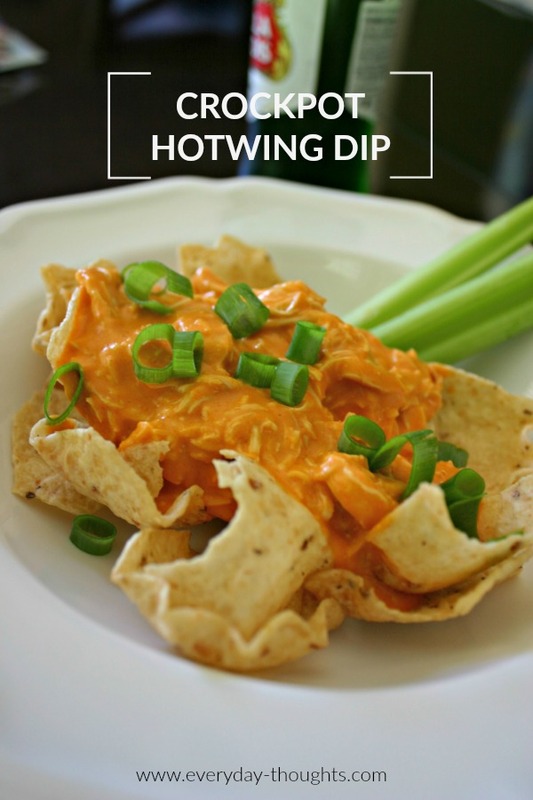 Wow, your Crockpot Hot Wing Dip really does sounds good. Thank you so much for sharing your recipe. Love to try this!